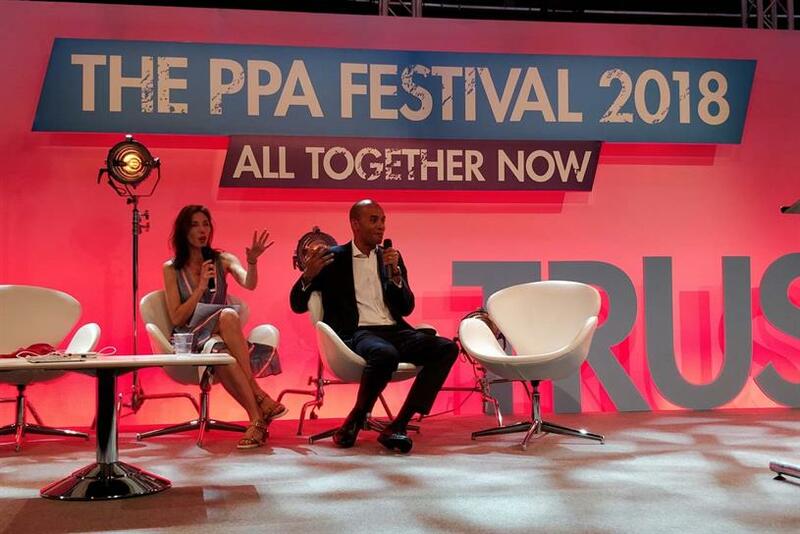 Brexit is "not inevitable", Labour MP Chuka Umunna told an audience at the PPA Festival, as political wrangling over the UK's future relationship with the EU continues. For the creative industries, Umunna said, "access to and participation in the single market is absolutely vital." Prime minister Theresa May has ruled out the UK staying in the single market or customs union after Brexit, but the House of Lords recently voted in favour of amendment to the Brexit bill that would effectively keep the country in both. Umunna, who was being interviewed by Campaign’s editor-in-chief Claire Beale, went further, though, and insisted that Brexit can be stopped. "Brexit’s not inevitable and I’d love to stop it," he said. "I’ve never made any secret of this. But I don’t get to stop it – the only way we’ll change the trajectory the country is on is if that’s what the people want." The former Labour Party leadership contender was critical in particular of the UK leaving the digital single market. Umunna backed calls for public regulation of the tech giants, which he said "increasingly behave in a slightly predatory way" – and said that the changes taking place in the world meant that countries cannot tackle the problems they face alone. Asked if he thought it was possible the EU referendum campaign had been compromised by the activities of Cambridge Analytica, Umunna said he thought it was "perfectly possible", and added: "But it reinforces why you can only really regulate these new platforms at a transnational level. "Look at the effect that Amazon has had and the power they have. ’m not anti big tech, but you’ve got a set of big companies that are massive, but still behave like a start-up. They almost cannot control what is going on on their platforms. So we need some global governance, whether it’s at a UN or G20 level, to bring some order to bear." Umunna took a swipe at Jeremy Corbyn, saying that by refusing to take a clear line on the UK’s relationship with the EU, the Labour leader was "acting in concert and aiding and abetting the likes of [prominent pro-Brexit MPs] Jacob Rees-Mogg and Michael Gove". "I hope he [Corbyn] does what he promised to do," Umunna said: "listen to our members, our stakeholders. The majority of them want a people’s vote on the Brexit deal. And even the majority of Labour leave voters want us to stay in the single market and the customs union." Asked by an audience member why he pulled out of the 2015 leadership contest he had been the favourite in that was later won by Corbyn, Umunna reiterated that his family and girlfriend had been unprepared for the media scrutiny, and also acknowledged rumours that had circulated about the real reason. "There’s always gonna be all this nonsense about did I do a load of lines of coke, or did I have a load of different lovers of different sexualities. "But what I had in 2015 was a perfect storm between my work life and the rest of my life. I didn’t foresee the kind of attention my girlfriend (and now wife) was going to be subjected to. "I had to speak to my now father-in-law, whom I had never met before, when a bunch of reporters turned up at his house while he was preparing Sunday dinner."